Still clinging on the old Android device and feeling the pinch of no new Samsung Galaxy S Duos S7562 software update download in years? Here’s your guide on how to get the latest available Samsung Duos software update and some custom ROMs you need to check out. Ever since the inception of Android, updating your phone (especially Samsung Galaxy devices) is as easy as pie with the right tools like Samsung Kies and Odin software. 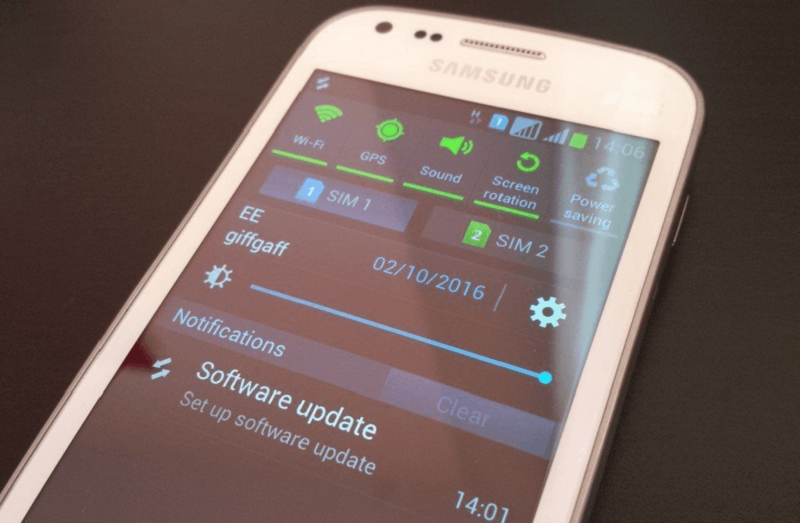 Released all the way back in September 2012, it has definitely been a while since users have seen a newly released a Samsung Duos software update. These cool phones were originally released five years ago, which means Samsung’s official support for them ended about a year and a half later since their policy is to only support phones for a maximum of 18 months. That’s a pretty short lifespan for an expensive piece of tech, especially for those who don’t swap mobile devices as often as every year. But you’re in luck because Updato Samsung Firmware Platform maintains an exhaustive repository of the latest firmware and ROMs for most every phone imaginable. If you’re in doubt on how to use them or how to find the right firmware for your Samsung Galaxy device, just ask on our forum! Why do you need the latest Samsung Duos software update? Perhaps you already know the importance of keeping your firmware up to date. Or maybe you’re just coveting the thought of running the latest version of Android on your trusty Duos. Downloading the OTA update files and installing them may seem like a giant hassle (especially if you don’t have an active internet connection), but it does far more good than harm. Updating your Android device is far easier and in the case of OTA updates, doesn’t even require you to back up your data to the server or a computer. Software updates have known to bring much-needed optimizations and bug-fixes to Android devices. If you’re experiencing app crashes, frequent battery drain, poor Wi-Fi and mobile network connectivity, keeping your phone up to date could fix it. Updating your phone also brings it up to speed with the latest security patches available, keeping your data safe and secure at all times. In the case of major updates, you get tons of new features, improved performance, better user interface and a lot more. Either way, if you’re looking to update your Galaxy S Duos, you’ve come to the right place. Here at Updato, we’d love to help you learn more about the two methods available to perform Samsung Galaxy S Duos S7562 software update download using the official Samsung Kies software, along with Samsung Odin and give you an insight into the world of custom ROMs for Samsung Duos software update. Samsung’s official method for updating your Duos uses a little program called Kies. While Samsung Kies has been taken over by Smart Switch for devices above Android 4.3, Samsung Galaxy S Duos will have to stick with Kies to perform software updates and manage their backup data. While being outdated, Kies is continually supported by Samsung and available to download for free. You can simply install Samsung Kies on your computer, then use the program to not only search for the latest updates and install them, but also manage your data and content on the device. Download Samsung Kies from the official website and install it to your computer. You will also need to fetch the compatible drivers for the Samsung Duos software update from the official downloads page on Samsung. Connect the Galaxy S Duos device to your computer, where it will be automatically recognized by Samsung Kies. 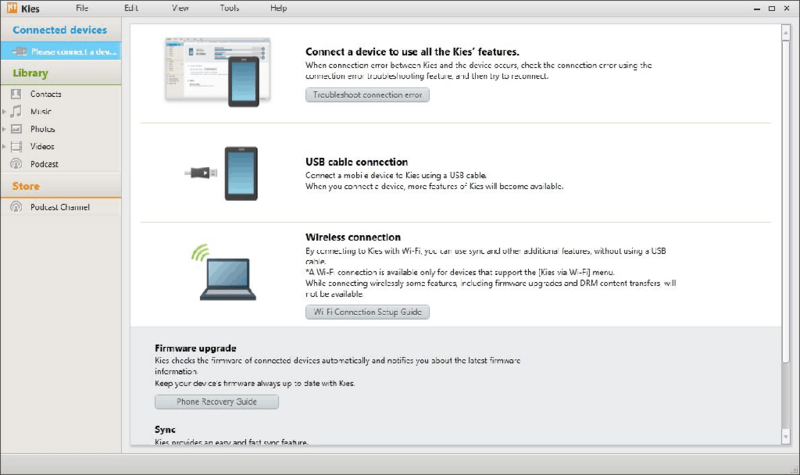 Use Samsung Kies to create a backup of your phone data on the computer and check to see if there is a firmware update available. If available, begin the Samsung firmware update, during which the device will reboot and finally update to the latest available software version. Finding the whole Samsung Duos software update process using Kies confusing? Be sure to check out our nifty tutorial on how to use Samsung Kies. Feel free to post any comments or questions below if you need a helping hand. For those who aren’t into the Android modding scene, Odin is essentially a flash tool developed by Samsung for internal use that made its way out into the world. Now updated and maintained by the Android community, Odin has become ground zero for Samsung firmware updates done manually and opens doors to the world of Android rooting and custom ROMs. If you’re feeling adventurous, or are the brave geeky type, Odin allows you to update Galaxy S Duos to add custom ROMs, root or unroot your phone, or to reset your Duos back to the original ROM. There is a huge advantage of using Samsung Odin for updating older devices, as it allows you to install a compatible firmware update regardless of your region. While finding the right Samsung Duos software update for a device as old at it is, it can be comparable to finding a needle in a haystack. This is where Updato Samsung Firmware Platform swoops in to save the day with one of the latest collection of official Samsung firmware from around the globe. Download and install the latest version of Samsung Odin on your computer and make sure that you have all the latest Samsung USB drivers installed. Fetch the latest available Samsung Duos software update from the Updato Firmware Platform using your device model. Turn off your Galaxy device and boot it back up by holding Power + Volume Down + Home button simultaneously until the phone boots into Download Mode. You can now go ahead and connect the Galaxy S Duos to the computer, where it will automatically be recognized by Samsung Odin under “ID: COM”. Using the PDA or AP buttons on the Odin screen (depending on your Odin version” browse and select the “.tar.md5” software update file you downloaded earlier. Once the file is recognized by Odin software, hit the “Start” button at the bottom of the menu screen and let the Galaxy Duos software update begin. The phone will reboot multiple times during the entire process and you will be notified by a “PASS” sign on Odin once the installation is successful. While this method is typically best suited to experienced users, we’ve done our best to simplify the process for everyone. Check out our awesome, easy-peasy tutorial on how to use Odin here. We have also included a quick troubleshooting guide in there to help you resolve any of the common Samsung Odin errors that you encounter during the software update process. An important part of rocking an updated Duos is making sure you have the latest firmware. If you need some help finding out your current software version and which is the latest one available for your device, here’s what you can do. The first thing you should do is verify which version of Android you’re currently using. To do that, grab that trusty Duos and go to Settings > About Device and check the Build Number. It should look something like this: S7562LVJAMH1 (the current build number of your firmware). Next, visit our Galaxy S Duos GT-S7562 OS Library to find the latest firmware releases for your country or region. If the build numbers on the list match the one you’re using, then you’ve already got the latest firmware for your Duos and no update is required (look at you, all up-to-date and whatnot!). If not, use Samsung Kies to install the latest Galaxy S Duos update (see Step 1 above). This is the safest method to update your Galaxy S Duos mobile, but it does significantly limit your powers in terms of what firmware you can install. To help you break free of the restrictions that Samsung has inflicted upon your poor Galaxy S Duos, you can give in to the beauty that is custom ROMs. After extensive searching all across the internet, you end up disappointed with the fact that Samsung Duos software update cycle ended at the prehistoric 4.0.4 Ice Cream Sandwich. The only way out of being stuck in the past for your dear mobile phone is installing a custom ROM. More than just a way to unleash the rooting capabilities of your Android device, custom ROMs are also a great way to update your device software and bring in tons of features. 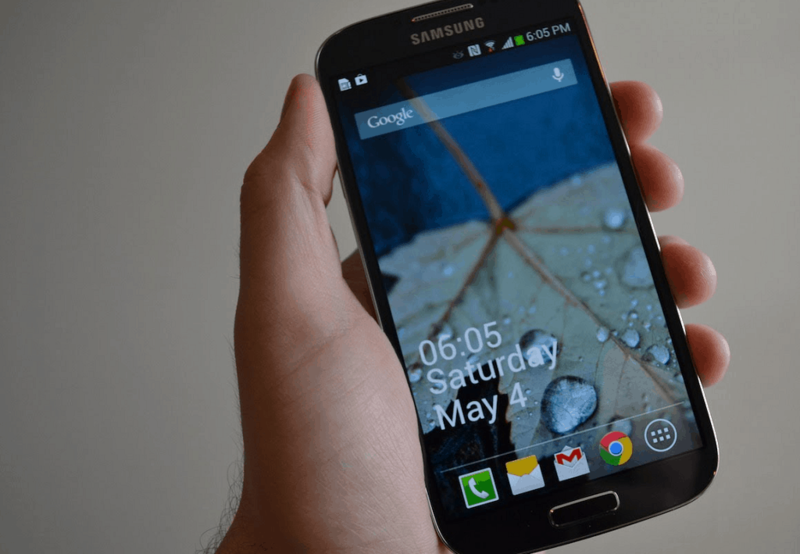 We have sifted through the internet to find some of the best custom ROMs for Samsung Galaxy S Duos and its variants to help you breathe new life into your old device. The procedure to flash a custom ROM is identical to the way you would flash an official firmware using Samsung Odin. Simply download one of the custom ROMs given below, extract the files to your computer and follow Step 2 above to install a custom ROM on your Galaxy S Duos. 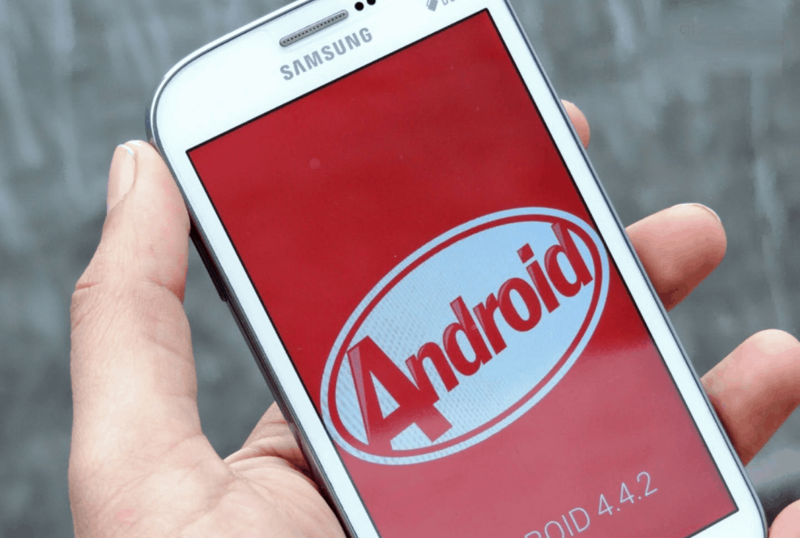 Based on CyanogenMod custom ROM for GT-S7560M, this version of the popular alternative software for Galaxy S Duos will bring your version up to Android 4.4.4 KitKat. Supporting the S7562 and S7562L variants, you get a whole lot with CM 11.0. Debloated software with none of the adware apps from Samsung. Theme Chooser included helping you customize the entire device look and design. Trebuchet launcher to give you different launcher effects and advanced layout management. Officially upgraded to Android 4.4.4 KitKat with all the features like screen casting. Unlike most custom ROMs out there, KyleOpen ROM does not bring you an updated software, but an optimized one. Since there’s only so much that the hardware of your Galaxy S Duos can do, optimizing the current software rather than finding an upgrade is a far better option. Debloated software for enhanced performance and added storage space. Rooted right out of the box. OTA Update engine built into the software. Google Now included for a superior user interface and design. Samsung S Voice support also available through an add-on. With the help of these custom ROMs that can be used for Samsung Duos software update, you can resurrect your dying smartphone in more ways than one. However, rooting and handling custom firmware is always risky business, so be sure to tread carefully and read the disclaimers. Th-th-th-that’s all folks! However, if you’re using a different device or model phone, be sure to visit Updato’s comprehensive OS Library to see if any additional updates are available. Do you have questions about Samsung Kies, Odin, or the meaning of life? Post them in the comments below or on the Updato Forum. The Updato team will do their best to hit you back as soon as humanly possible.